Sunaina Maira’s book Boycott! The Academy and Justice for Palestine would not ordinarily be a publication of special note. Such a short, poorly documented book attacking Israel and promoting the Boycott, Sanctions, and Divestment (BDS) movement, would typically come from one of the popular political imprints specialising at least partly in disseminating propaganda — among them CounterPunch, Haymarket, Interlink, Pluto, and Verso. Indeed three of the book’s blurb writers — Angela Davis, Omar Barghouti, and Steven Salaita — write that sort of book themselves. But Boycott! comes to us instead from the University of California Press (UCP), historically one of our more distinguished scholarly publishers. Moreover it is part of a series, American Studies Now, recently founded and edited for UCP by two former presidents of the American Studies Association, Curtis Marez and Lisa Duggan, both themselves leaders of the American Studies Association (ASA) campaign to boycott Israeli universities. Marez and Duggan are praised in the book, but not as a form of toadying to them as series editors. Maira was a leader of the ASA campaign as well. The four, along with additional blurb writer Alex Lubin, speak as one, ideologically. It is possible for people in political agreement to edit each other’s work critically, to demand high standards of debate and proof from an ally. Where bias could be suspected as part of the review process, they might wish to be especially meticulous. But the character of Maira’s book suggests that none of this happened. Typically a university press review identifies readers sympathetic to the author’s views or methods who are then charged with deciding whether the project is well executed. The alternative of testing a manuscript against hostile readers is a waste of time and money. Whether Davis, Barghouti, Salaita, and Lubin were among the readers I cannot say, but if so they did not successfully apply the standards to be expected in academic publishing. Certainly Marez and Duggan, the series editors with ultimate responsibility, did not. 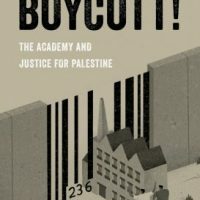 In any case, there is reason now to review the book — in part because it reveals emerging trends in BDS arguments — and ask what such a book says about the state of academic publishing and about the consequences of an increasingly politicised academy. Midway through the book, Maira devotes several pages to a celebration of the November 2013 annual meeting of the 5,000-member ASA. That is where the movement to boycott Israeli universities first got what remains its most notable endorsement from a faculty association. In the subsequent vote the following month by the ASA’s whole membership the boycott resolution carried the day by a wide margin. Her claim in the book’s introduction that ‘one major academic association after another’ followed by ‘endorsing the boycott’ (1) is a little harder to demonstrate, given that years later the ASA remains the largest such group to do so, whereas the 10,000-member American Historical Association, the 10,000-member American Anthropological Association, and the 25,000-member Modern Language Association have all defeated efforts to endorse an academic boycott. Maira is not alone among BDS apologists in deciding that the best way to handle defeat is to declare victory. But that is not the only problem with her account of the sequence of ASA events. The binary model that the American Association of University Professors (AAUP) adopted in its classic 1915 Declaration, the statement that defined the group’s principles and mission, proposed that academic freedom entailed both rights and responsibilities, though most of the responsibilities are defined not within the discourse of academic freedom but by institutions and academic disciplines. Foremost among the responsibilities built into the understanding of academic freedom itself is a commitment to a search for truth. But within the academy that search entails a methodology: approaching the truth through dialogue and debate with the existing scholarship. You do not promote your own views without serious engagement with the opposition. Scholarship is a conversation, not simply a polemic. Sunaina Maira’s book, however, is only a polemic. . . .
Click here for the review in its entirety (about 3200 words).